VILNIUS, April 8. /TASS/. Lithuanian presidential candidate Vytenis Andriukaitis suggests abandoning aggressive rhetoric towards Moscow and is ready readiness for a direct political dialogue with Russia, the Delfi web portal said on Monday. “We support pro-democracy and human rights activists in Russia but we are also ready for an open and direct political dialogue with the country’s authorities,” Andriukaitis’ election program says. While presenting his election program, Andriukaitis pointed out that “normal behavior should replace attempts to isolate Russia and excessive aggressive rhetoric.” “We should make it clear where we won’t make agreements and will continue to stick to our demands and where we can try to find common ground,” he added. Andriukaitis also highlighted the importance of making a difference between Lithuania’s approaches to the Russian authorities and Russian businessmen, scientists, cultural workers and common people. 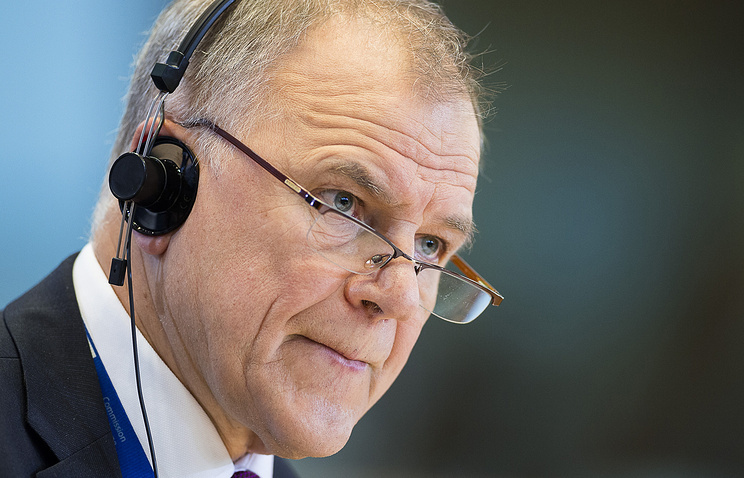 Andriukaitis, 67, is member of the Social Democratic Party of Lithuania. He is a doctor by profession and served as Lithuania’s health minister in 2012-2014. As many as 40 out of the party’s 60 branches nominated him to run for president in May 2019. Andriukaitis stood in the presidential election in 1997 and 2002. Hey Buddy!, I found this information for you: "Lithuanian presidential candidate ready for direct dialogue with Russia". Here is the website link: https://russophile.org/lithuanian-presidential-candidate-ready-for-direct-dialogue-with-russia/. Thank you.